Nathaniel Nordin-Tuininga is a long-time Environmental Educator. He spent much of his childhood learning directly from 1200 acres of meadows and forests and from the elders who helped him cultivate a deep reverence for the more-than-human world. His life has been an ongoing exploration of alternative educational models including the indigenous practices still in use in many “developing” nations, which rely heavily on the interaction between children and the natural world. 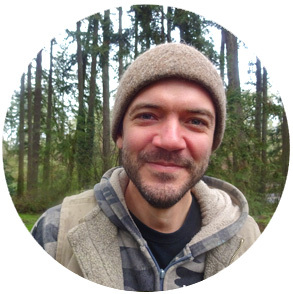 He holds an undergraduate degree in Environmental Studies from the University of Oregon, an Ecovillage and Permacultural Certification from Lost Valley Educational Center, and two teaching degrees in Early Childhood and Grades, from Waldorf Teacher Education Eugene. Nathaniel brings patience, joy, and an intimate appreciation for the ecological interdependence of life. Hosanna White cherished her Rocky Mountain childhood home. A move to suburban Texas at age nine abruptly awoke a knowing in her that the Earth is sacred, invaluable, and very much in need of intelligent stewardship.Since her middle school days, she has led numerous sustainability-themed classes and restoration projects for youth. Her journey of ever-deepening connection with nature has brought her to Oregon, where her ancestors, two centuries ago once pioneered a life. She intends to do the same, returning to the roots with community and an off-grid homestead. 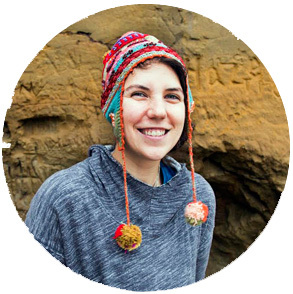 A practicing ceremonialist, certified in Transformative Arts facilitation, Hosanna is passionate about kindling creativity and authentic expression in both children and adults. Her life is also colored by singing, herbalism, gardening, and practicing ancestral skills like pit fire pottery and basketry. 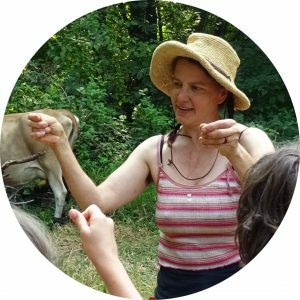 Katja Kohler raises cows, goats, rabbits, chickens, ducks and geese, and is dedicated to ecologically focused farming that feeds the microbes, fungi, and bacteria in the soil. Her love for nature was fostered while growing up in Guatemala among the monkeys and snakes beneath the canopy of ceibas in the jungle. She feels blessed by her childhood experiences and is happy to provide opportunities for more children to learn amongst nature. After graduating from UCLA with degrees in art and Spanish, she co-directed a tutorial program, taught art and gardening in Austin Texas, before moving with her husband to a small farm just outside of Cottage Grove. She has since taught Spanish at the Montessori school in Eugene and with several afterschool programs. 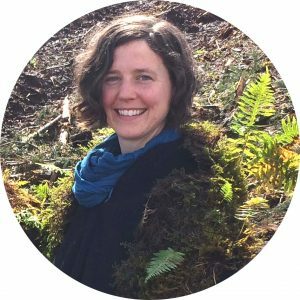 She has incorporated Montessori, Waldorf, homeschooling, and unschooling philosophies to raise her own children and is thrilled to be assisting with the Fawn Lily Farm and Forest Kindergarten. Fernanda Medici grew up in a large city bordering the jungles of Brazil, where she saw clearly the contrast between civilization and indigenous ways. From early on she experienced the forest as a conscious healer and teacher. As a child she deepened her relationship with the natural world, discovering joy, beauty, and ancient wisdom hidden under the rocks and stones and high in the treetops. As she grew she found many opportunities to share her passion through teaching summer camps and later through environmental activism, which she continued after immigrating to the United States in 1998. 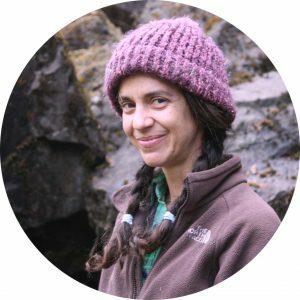 Her path toward a more harmonious relationship with Pachamama brought her to an intentional community outside of Cottage Grove where she practices regenerative ways of living on the earth. Fernanda loves playing with the youth, sharing songs and dreams of reawakening village parenting models in the modern world. Ryder Coen was born in the land of Minnesota and grew up exploring the surrounding meadows and woodlands of the St. Croix river valley, where miles of trails connected to the backdoor of his family home. 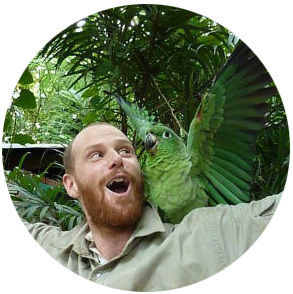 Driven forward by the question of how to best be of service in the world, an innate reverence for the sacredness of life and a desire to see humans living in harmony with our wild and natural environment, he moved to Oregon to study landscape architecture, environmentalism and permaculture . 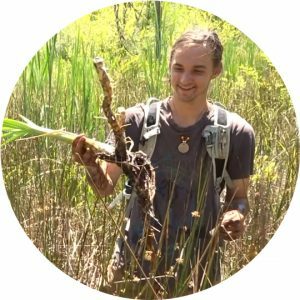 Now, four years later, he’s living and working as garden manager at Vistara, where–among other focus areas–he has been exploring the integration of acorns and biochar into the vision of a life lived in ecological and environmental integrity. Nicho Petterson developed a deep appreciation for the peace and simplicity of the outdoors during his first backpacking trips early in his teens. Since then he has found inspiration and healing in earth-based ceremony, including grief rituals, vision quests (through the Cascadia Quest non-profit here in Eugene), and a native-lead circle dance ceremony. Mindfulness Awareness, and co-counseling are central practices for Nicho. As a carpenter and handyman, he enjoys working with his hands, and has had the unique opportunity to do so in rural intentional communities, such as Lost Valley Educational Center. He is excited to bring his gifts and love of the natural world to the boys of Nature’s Mystery, while further cultivating his skills as a mentor and guide. Aeliana Moon Blain is a devoted mother of two. Growing up in the wilderness of Alaska instilled in her a deep love and connection with the natural world. As an adult she spent over a decade traveling four continents, studying and connecting with a diversity of cultures and people and discovered her deep love for humanity. She is passionate about sustainability and how we can live in deeper harmony together in our world. Treading gently on this beautiful Earth and walking through life with grace, she is dedicated to creating a kinder, fairer world and empowering children and mothers. 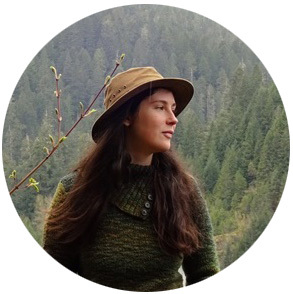 Abby Andrus Colehour is a native Minnesotan, social organizer, plant enthusiast, traditional skills dilettante, and do-it-yourselfer living at Aprovecho Center for Research and Education in Sustainability just outside of Cottage Grove. There, she works as Residential Steward–maintaining social harmony, wholesome eating, administrative duties, and program development. She is especially passionate about trees, forests, and woodland crafts.